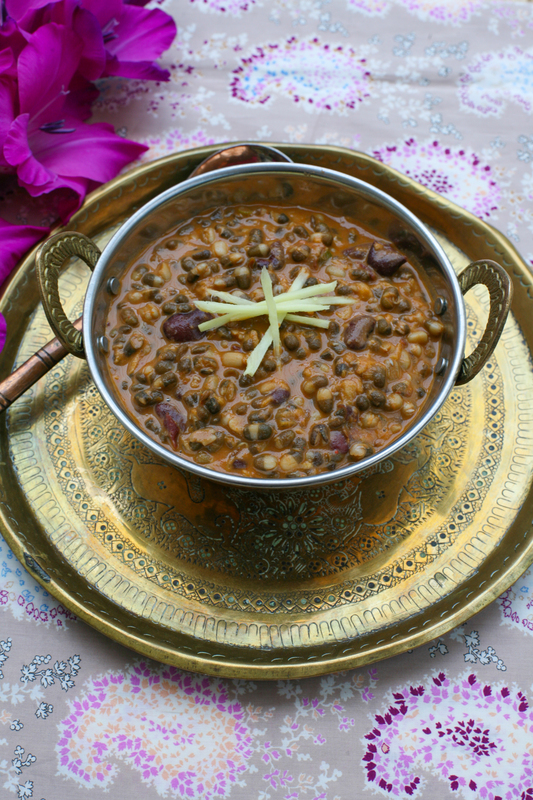 This entry was posted in Dal, Vegetable, Vegetarian and tagged dal, dal makhani, Punjabi, urid beans, vegetarian. Bookmark the permalink. This dish looks so wonderful – I can smell and taste it! Please tell me what the difference is between gram and dal? Thanks Mini. Gram is another word for beans. Urid beans are also called black gram ;o) confusing isn’t it. So, gram and dal can be used interchageably? 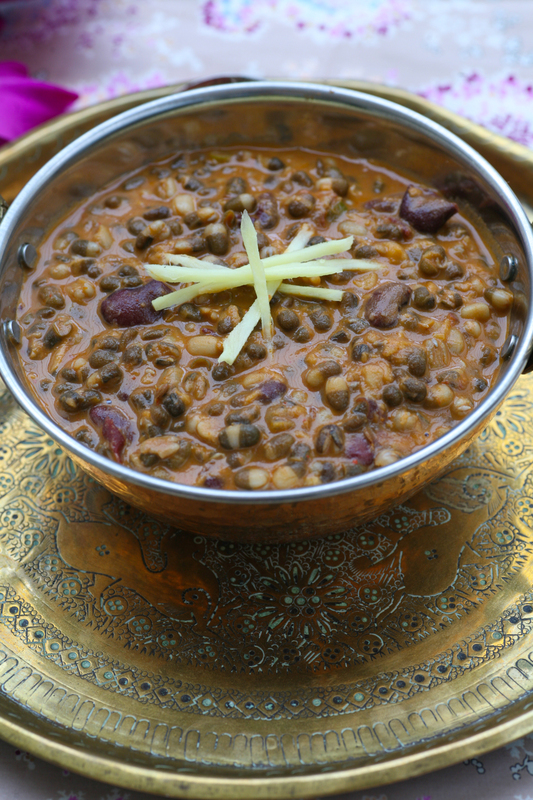 One tends to talk about gram meaning the lentil itself and dal being the dish/soup, if you will. Hope that makes sense. Hi all – just my 2 bob here. 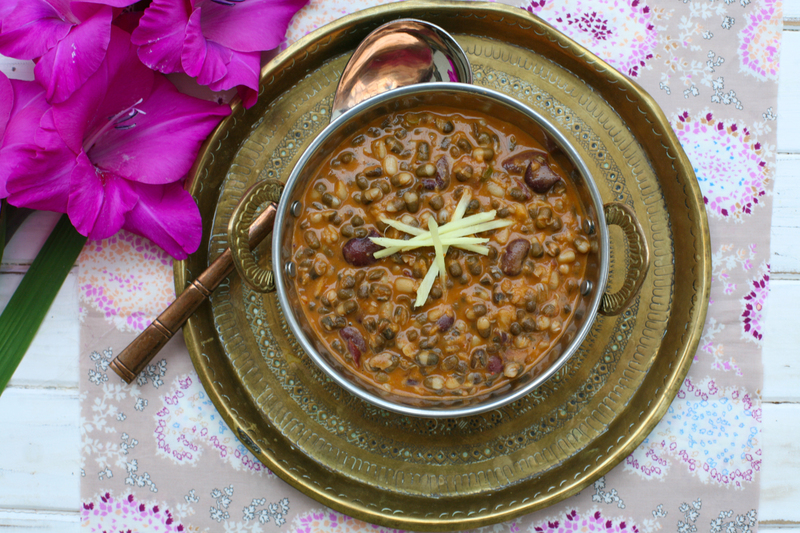 ‘Gram’ generally refers to whole legumes / pulses while ‘dal’ means split ‘gram’ and normally the variety with the skins removed. And Torie is right, dal can also mean the prepared dish. 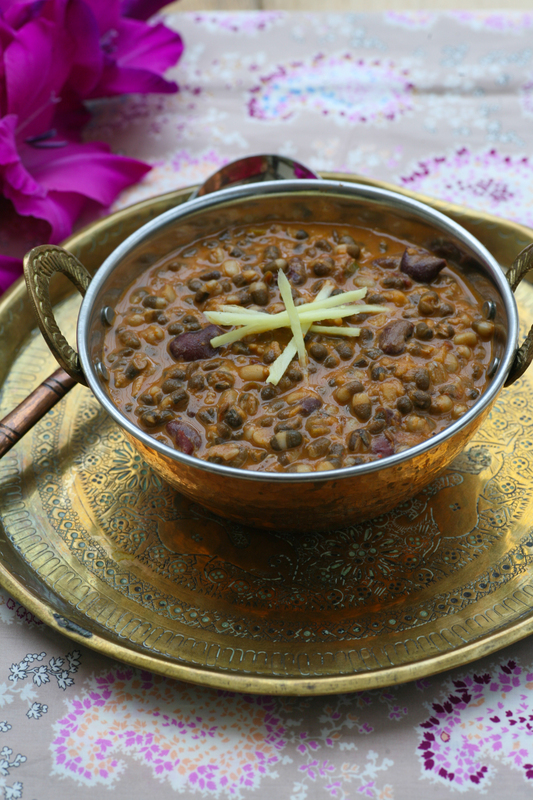 Now, to further add to the confusion, ‘sabut dal’ refers to whole legumes/pulses i.e. gram. In this dish (which looks delectable by the way), you would use gram (or sabut urid dal).